An excellent source of protein and omega-3 fatty acids. It has no sweeteners and additives. May leave a powdery residue after mixing. After a healthy workout, you’re going to need nutrients to support muscles recovery and cellular development. If you want a reasonably priced plant protein that will provide your body with everything it needs to grow, heal and excel, then look no further than one of nature’s perfect superfoods - Nutiva Organic Hemp Protein. Hemp protein has been proven to provide a much more bio-available form of omega and amino acids compared to other plant-based proteins. Vegan proteins are increasingly gaining popularity in the supplement market. Just visit your local health food store, and you will find the shelves fully-stocked with protein supplements. There are many vegan supplements currently in the market that utilize a combination of different plant sources. If you are new to the supplement’s world, the influx of options can make it hard to choose the ideal protein powder for you. The protein supplement market is filled with different brands, with each brand touting its products as the best quality or value. Many people assume that when it comes to fitness, vegan proteins play second tier which is not the case. Instead of viewing vegan protein as an alternative protein, they should be treated as go-to proteins for reasons I will discuss below. If you are a vegan looking for an all-natural plant-based protein that will give you optimal health benefits with zero side effects, you should try hemp. Hemp is a versatile plant that was first grown in Asia and the Middle East. With a superior 66 percent edestin protein structure, it is by far the purest source of complete protein. Its numerous uses and health benefits saw it making its way to Europe and America. Nutritionally speaking, Hemp is rich in protein, omega-3 fatty acids and fiber. Hemp seeds have a nutty taste and are used for various food and commercial purposes. The protein in hemp is easily digestible and can be consumed as a food, natural seeds, hemp oil and grounded powder. The nutritional value has made it an addition to individuals looking for potent plant-based proteins. Then comes Nutiva Hemp, an award-winning product that has earned its place as one of the most popular hemp protein supplement. Produced by the Florida-based super foods powerhouse Nutiva, this product is the perfect alternative to a snack or meal. It is processed from 100 percent organic hemp seeds and has the right balance of raw proteins, phytonutrients and fiber that are vital to good health. This review will help you to understand its ingredients and if it’s the right vegan protein for you. This easy to mix protein powder by Nutiva is one of our favorite plant-based protein currently on the market. The ingredient list is exclusively made of Sustainably Farmed Canadian organic hemp seeds free from chemical solvents. The hemp seeds have a high nutritional value consisting of 15g of raw organic protein, 6 g of fiber and 0.8g of omega-3 fatty acids in a single serving. Carbohydrates and dietary fiber in this supplement support a healthy digestive system and promote normal energy levels. 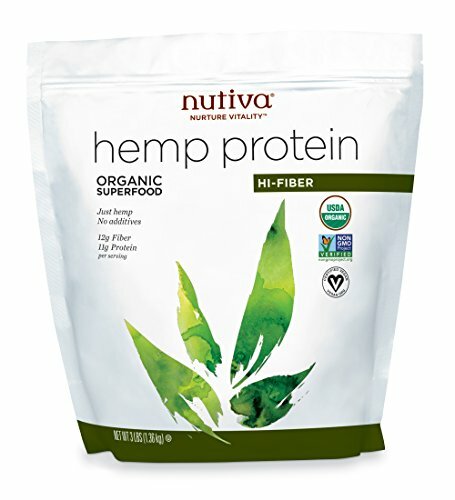 Nuvita Organic Hemp Protein packs crucial vitamins and minerals that support normal cognitive function, healthy muscles and bones, cellular development, and connective tissue. They iron, zinc, manganese, phosphorous and magnesium. Nutiva Hemp Protein has a great amino acids profile. 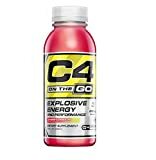 In total, it has 20 amino acids, with 9 of them being essential ones and all 3 Branched-Chain Amino Acids (BCAAs). The amino acids (2g per serving) perform vital tasks within your body which help with protection, growth and repair. The taste of Nutiva Organic Hemp protein depends on what you mix it with. Besides vegan and vegetarian diets, Hemp Protein is a healthy addition to whole food, raw, ketogenic, paleo and gluten-free diets. You can mix it with almond milk to get a high-fiber protein drink or add it to smoothies, shakes and baked foods. In its natural state, however, this supplement has a nutty flavor. This complete protein is gentle for sensitive stomachs. It is a USDA certified organic product. It’s highly soluble in water. It is free from gluten, lactose and dairy. It may take you time to get used to the taste and texture . If you are lactose intolerant and on the look for a new way to complete your diet, you should definitely give Nutiva Organic a try. 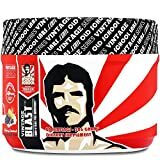 It’s 100 percent natural, plant-derived and easily digestible to reduce inflammation, promote faster recovery, support healthy muscles, increase lean body mass and enhance normal cellular development.